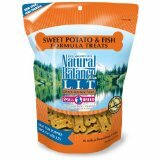 This blueberry dog treat is chock full of vitamins and nutrients. 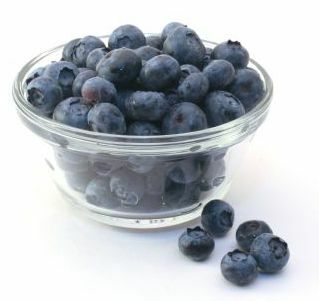 Blueberries have manganese, Vitamins B6, C, and K and fiber. They are so full of beneficial micronutrients, including antioxidants, that help to neutralize a wide range of diseases. But the goodness doesn't stop there. Bananas have Vitamins B6 and C, and potassium. Oats and rye flour are also very advantageous with many vitamins and minerals of their own. This superfruit blueberry dog treat is a wonderful way of showing your dog that she is your special super-dog! Blueberries can also be used as dog training treats. Mix them in with other training treats for variety. 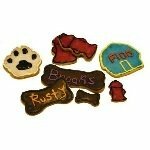 If you keep your dog guessing which treat will come next, it will help him be alert during training time. 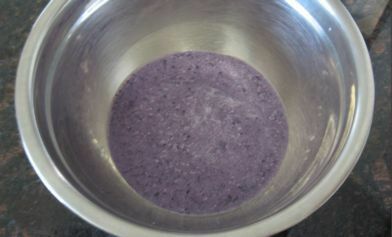 If you purchase fresh blueberries you can freeze them for later enjoyment. After rinsing and letting them dry, place them on a cookie sheet in a single layer. 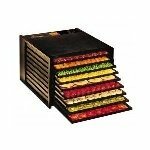 Once they are frozen, place them in freezer bags or another container for long term storage. You can substitute soy milk for the regular milk, if your dog is lactose sensitive or intolerant. The texture of these dog treats is quite soft. It is more like a crispy muffin, than a hard dog biscuit. 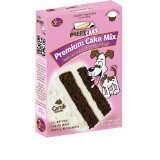 The softness makes it a great choice for puppies and senior dogs. However, you can easily make them harder. Once you turn off the oven, leave the treats in the oven over night. 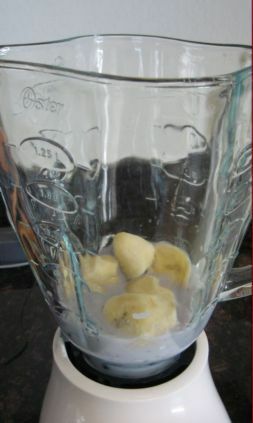 Place the banana, blueberries and milk in a blender. 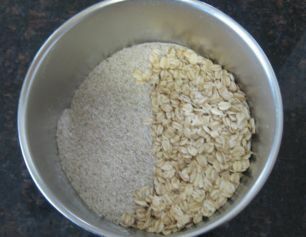 Add rolled oats and rye flour. 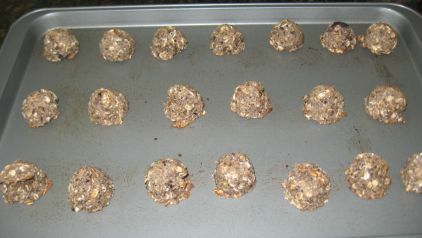 Drop rounded balls onto a greased cookie sheet (I used a 1" cookie dropper). Bake for 16 minutes. They will be crispy and browned on the outside. Yield: Using a 1" cookie dropper, I was able to bake 20 cookies. You could easily increase the quantity by using a smaller dropper, or rolling into smaller balls. 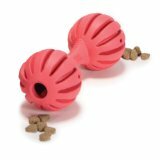 Storage: Since these dog treats use fruit, they will not last as long as other treats. 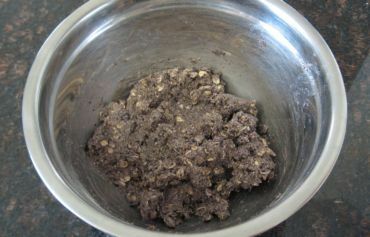 I would recommend one week in a dog treat jar, 2 to 3 weeks in the refrigerator and 2 months in the freezer. 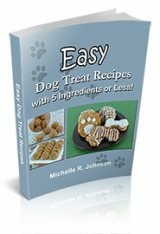 Look over our tips on storing your homemade dog treats for more information. Substitute the Rye Flour - Don't have Rye flour? That's OK, you can substitute it for whole wheat flour. 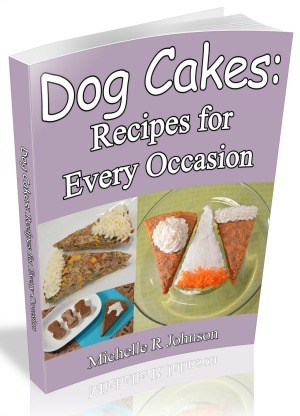 Or, if your dog is sensitive to wheat, use a gluten free flour mix. 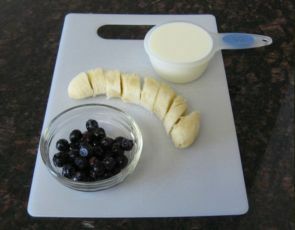 The little blueberry treats will come out just as cute and delicious. 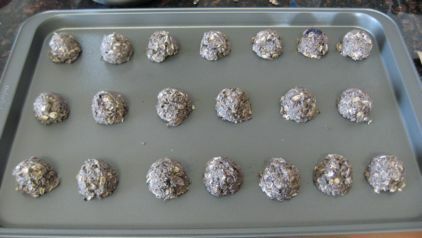 These blueberry dog treats make such a nutritious snack, you may want to ask your dog for a bite of her superfruit treat!